High quality replacement axle for most 4x4 ATVs Meets or exceeds OE quality Supplied assembled to save you time and money Front left or right Halfshaft Fits the following Kawasaki models: BAYOU 300 4x4 1989-2004 BAYOU 400 4x4 1993-1999 Please note: The image displayed is representative of the item, but may vary depending upon your specific model. High quality replacement axle for most 4x4 ATVs Meets or exceeds OE quality Supplied assembled to save you time and money Front left or right Halfshaft Please note: The image displayed is representative of the item, but may vary depending upon your specific model. High quality replacement axle for most 4x4 ATVs Meets or exceeds OE quality Supplied assembled to save you time and money Rear left or right Complete Fits the following Polaris models: SPORTSMAN 400 4x4 2003-2005 SPORTSMAN 500 4x4 2003-2005 SPORTSMAN 600 4x4 2003-2005 SPORTSMAN 700 4x4 2003-2005 SPORTSMAN 800 4x4 2005 SPORTSMAN MV7 4x4 2005 Please note: The image displayed is representative of the item, but may vary depending upon your specific model. High quality replacement axle for most 4x4 ATVs Meets or exceeds OE quality Supplied assembled to save you time and money Front right Halfshaft Fits the following Kawasaki models: BRUTE FORCE 650 4x4 2005-2007 PRAIRIE 700 4x4 2004-2006 Please note: The image displayed is representative of the item, but may vary depending upon your specific model. High quality replacement axle for most 4x4 ATVs Meets or exceeds OE quality Supplied assembled to save you time and money Front left Halfshaft Fits the following Arctic Cat models: 250 4x4 2001 300 4x4 1998-2000 400 4x4 2001 500 4x4 2000 Please note: The image displayed is representative of the item, but may vary depending upon your specific model. 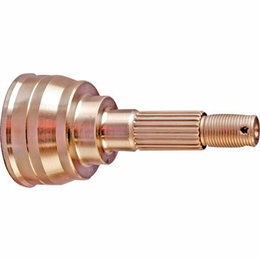 High quality replacement axle for most 4x4 ATVs Meets or exceeds OE quality Supplied assembled to save you time and money Front left Halfshaft Please note: The image displayed is representative of the item, but may vary depending upon your specific model. High quality replacement axle for most 4x4 ATVs Meets or exceeds OE quality Supplied assembled to save you time and money Front left or right Complete Please note: The image displayed is representative of the item, but may vary depending upon your specific model. High quality replacement axle for most 4x4 ATVs Meets or exceeds OE quality Supplied assembled to save you time and money Rear left or right Complete Fits the following Polaris models: DIESEL 4x4 2000-2002 SPORTSMAN 335 4x4 2000 SPORTSMAN 400 4x4 1999-2002 Please note: The image displayed is representative of the item, but may vary depending upon your specific model. Deep mud and big tires, grab the throttle and hang on Designed for maximum bottom end and mid range pull Includes a set of custom weights and springs to prevent belt slippage and improve the acceleration of your ATV Designed for ATVs using 27" or 28" aggressive tread tires Designed for use at elevations between 0 and 3000 feet Please note: Kits may not include Helix Please note: The image displayed is representative of the item, but may vary depending upon your specific model. 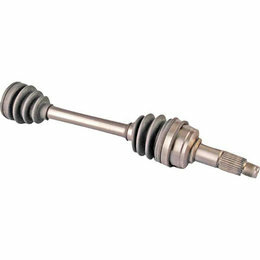 High quality replacement axle for most 4x4 ATVs Meets or exceeds OE quality Supplied assembled to save you time and money Front left or right Halfshaft Fits the following Yamaha models: GRIZZLY 660 4x4 2003 (with UJ68) Please note: The image displayed is representative of the item, but may vary depending upon your specific model. High quality replacement axle for most 4x4 ATVs Meets or exceeds OE quality Supplied assembled to save you time and money Front left or right Halfshaft Fits the following Yamaha models: GRIZZLY 660 4x4 2004-2007 GRIZZLY 660 4x4 2003 (with 68LAC) Please note: The image displayed is representative of the item, but may vary depending upon your specific model. High quality replacement axle for most 4x4 ATVs Meets or exceeds OE quality Supplied assembled to save you time and money Front right Halfshaft Please note: The image displayed is representative of the item, but may vary depending upon your specific model. Meets or exceeds OEM specifications Outboard Sold individually Fits the following Polaris models: RANGER 500 2005-2007 RANGER 700 4x4 2006-2007 RANGER 700 6x6 2007 RANGER XP 4x4 2005-2006 SPORTSMAN 700 4x4 2005 SPORTSMAN 800 4x4 2005 SPORTSMAN MV7 4x4 2005 Please note: The image displayed is representative of the item, but may vary depending upon your specific model. 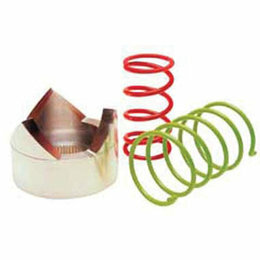 Meets or exceeds OEM specifications Outboard Sold individually Fits the following Polaris models: MAGNUM 325 4x4 2001-2002 (HDS Visco-Lok) MAGNUM 330 4x4 2003 (HDS Visco-Lok) MAGNUM 500 4x4 2001-2002 (HDS Visco-Lok) RANGER 500 4x4 2005 RANGER XP 4x4 2005 Please note: The image displayed is representative of the item, but may vary depending upon your specific model.